It's easy to be spoiled by bait-slinging captains in pangas, but wading the shoreline is rewarding. After a day of loud motors and rocking boats, quietly walking the beach near dusk is downright meditative. A variety of jacks cruise these stretches and many roosters have been landed in front of local motels by anglers burning time before dinner. Our Baja trip host, Gary Bulla, had a client release a 30-plus-pound rooster while wading within walking distance of his motel. Shallow-water panga gear works great on the beach. Intermediate lines cover wider depths, but floating lines are more comfortable to pull out of the water and easier to use without a stripping basket. 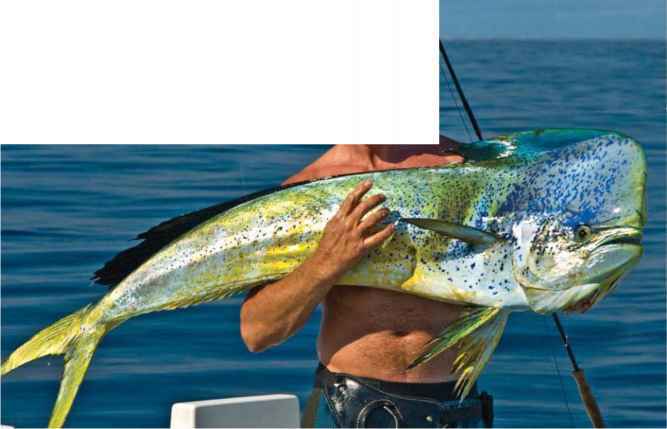 Dorado are plentiful off the Baja coast. They can be targeted a number of ways, and there's always the potential of latching into a real monster. Baja has a solid supply of dorado, which can be targeted with a variety of methods. The intermediate and floating outfits used along the shoreline are ideal for them. Many long lines are in operation along the drop-offs, and dolphin are attracted to this gear, especially the floats. Captains have a method of catching them along this man-made structure called "running and gunning." Typically, they stop the panga 50 feet away and drift toward the buoy. Since dorado often get full quickly and then leave, a captain will only toss between two to six live baits. If no fish show on the surface or are seen following the fly after a few casts, they'll run to the next buoy a mile away and perform the same procedure. Dolphin are also found along debris lines created by wind and tides. When a debris line is located, a drift is established down one edge of the line while anglers cast. Dolphin will put on a show before they are hooked! They can be spotted streaking though the water, sometimes leaving a rooster tail to reach your fly! Baja is not a one-rod trip. During the course of a day, anglers often use rods ranging from 8- to 14-weights. 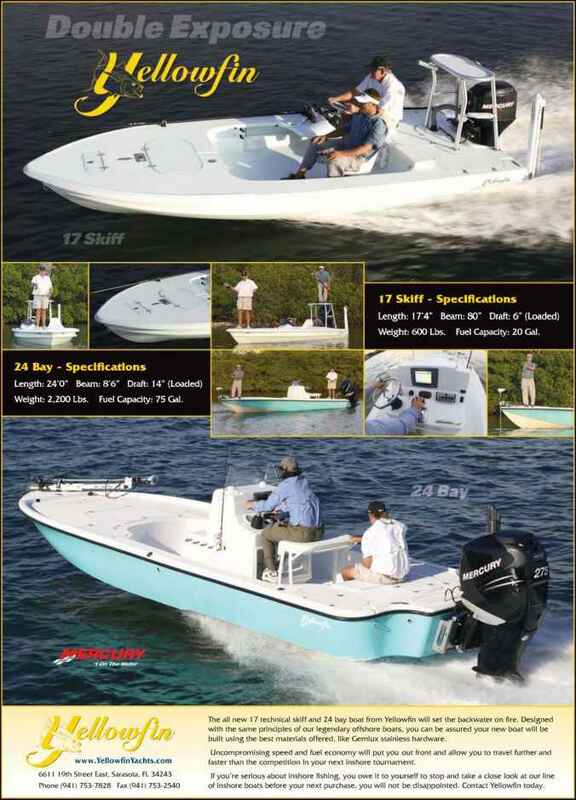 It takes at least three rods to stay in the game, and most anglers bring four on the boat. A good rule of thumb is to bring every other size, such as an 8-, 10-, 12- and 14-weight. It is also wise to bring backups. Baja fish are tough, but equally tough are the bumpy roads, grit and unprotected rod storage on the pangas. Therefore, don't bring any rod that will break your heart if it dies. Of course, heavier tackle is required to land what the captains conjure up from the deep. Since they average from 6 to 25 pounds, barrolettes and yellowfin require 10- to I2-weight tackle. Fly lines should be fast-sinking, ranging from 300 to 500 grains. The fish don't hold super deep, and the current is not ripping strong, so 300- to 400-grain works best. When fishing amberjack over the seamounts, flies have to get much deeper, making a 500-grain line fished on a 12-weight more appropriate. Anglers should also bring a 13- to 14-weight in case marlin show up or the average tuna size is larger. The lighter shoreline tackle comes in handy for deep-water fishing, too, especially for "hauchitenango, "also called red snapper, yellowtail and pompano.